Everything is awesome with these picks. With the rush of video games constantly being released for the Nintendo Switch portable gaming console, it can be tricky to know where to start. Trust us, we’ve been there. So we dug in, did our research, and—yes—played a few hours of the latest games, rounding up the best that have come out in 2019. Whether you child is looking for a challenge, feeding a cinematic passion, or even beginning his or her first steps in the digital realm, options abound for each. But first, an explainer: A game’s rating system only tells so much. Some games have complexity great for the middle ages. Others cover a range of skill levels, allowing younger children to have fun while older kids can pursue its secrets and, ultimately, its mastery. And a few are a great first step for a first-time gamer. For this reason, we selected games that received the Everyone ranking from the industry-leading Entertainment Software Rating Board. Rest assured all of these include only family-friendly content. But once that baseline is established, we break down each, offering recommendations for the year’s best and for whom they’ll most appeal. 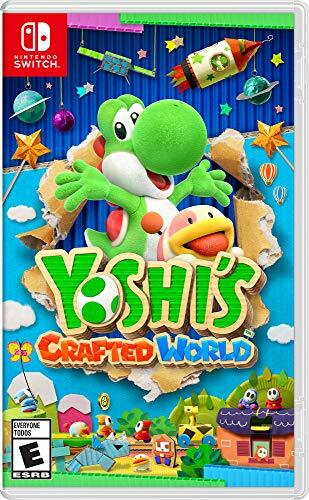 The latest from the Mario universe, Yoshi's Crafted World, released at the end of March, is an all-ages game that’s predestined to become a favorite. This plane-shifting 2D-style platform game hearkens back to the Super Mario Worlds of yore, but with full use of the Switch’s fully modern tech. Pros: YCW has the same deceptively simple gameplay that launched the modern franchise on the Nintendo Entertainment System: a series of jumps and traverses across obstacles while avoiding or stomping on baddies. Old vets like you will instantly recognize its charming style. But where this Nintendo Switch game differs is through certain three-dimensional elements, which allow you to move through the backgrounds, opening up multiple planes for exploration. There’s not so much new that heritage players can’t have fun, while youngsters will be sucked into its magnetic world. Cons: Older, core gamers may either be immune to its bloodless charm or race through it, yawning for more. While Easter eggs abound, it doesn’t have the edge that your transitioning tween is likely yearning for. But for everyone else, it’s great, family-friendly fun. 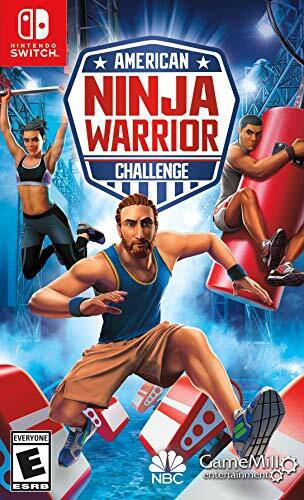 Half Sims-like course creation and half 2D obstacle adventure, American Ninja Warrior is the TV show-branded game that attempts to capture the contest’s worldwide appeal. We think this will be most attractive to the budding ninjas in your home, offering them a furniture-saving option for entertainment when they can’t go outside. Pros: For longtime fans of the show and its numerous viral clips, the Nintendo Switch game allows you to select characters and outfit them, then run, jump, and climb through obstacle courses before your “stamina” runs out. Once your kid gets the lay of the land, he or she can design custom courses for an added challenge. Announcer Matt Iseman, a fixture of the show since the beginning, provides the in-game announcer’s voice for an authentic experience. Cons: The kids that love this are fans of the show, and if they’re fans of the show, they’d likely have you drive them to the nearest ninja gym or parkour training center rather than plopping down on the couch with a Switch. Still, there’s likely some crossover, and even if your kid’s not super-athletic, the game is still a lot of fun. 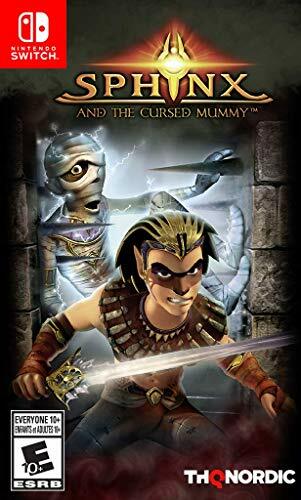 Your kids probably hadn’t been born with the original Sphinx and the Cursed Mummy was release in Aughts. It won’t matter. This updated version of this Playstation classic release is as charismatic as the original, and your kids will fall in love with is just like you did. Pros: Adding a custom Nintendo Switch aspect ration and an HD overhaul on graphics, Sphinx doesn’t feel dated. As its protagonist demigod, you explore a three-dimensional world rife with Egyptian mythology allusions and a very famous golden king. While it may be a little complicated for young children, those in the second half of their first decade will have a blast. Cons: Some complained that its save points were far apart, making it a distinct possibility to lose 20 to 30 minutes of gameplay (around two decades in video game life). Still, it’s a worthy platform game, and your kiddo will probably navigate this and other hurdles with ease. For the budding hippophile in your house, My Little Riding Champion brings the horses indoors when he or she can’t make it to the barn. Pros: You start as a young woman who inherits a relative’s equestrian center and one of his horses, and your role is half tenant, overhauling the property, and half trainer, working your horse toward competition. While there’s a clear storyline for you to follow with this Nintendo Switch game, young horselovers will find plenty of opportunities to gallop around without rush, exploring the digital space. Cons: With a female lead character as the only playable option, your son may have difficulty fully locking in with the story. Ditto for your one option of horse at the start. We found it amazing that while the middle of the game offered so many options, its beginning seemed incredibly constricting. 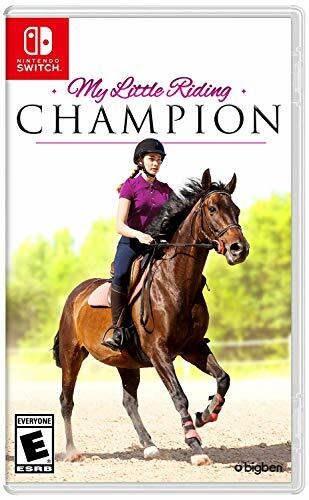 But if your growing horse girl is passionate about her riding lessons and her Switch, this is an easy choice. For those who are passionate How to Train Your Dragon fans, the third movie’s tie-in game will be a lot of fun. But for those on the fence or indifferent, they may not find enough here to love. Pros: Solidly in the style of the top-down dungeon crawler, the Nintendo Switch game begins with you as the amnesiac trainer Scribbles and his dragon Patches. Together, you two embark on a journey to foil a sinister plot and discover the secrets the protagonist can’t remember a la a (much more basic) Memento. It’s fast-paced and action-focused, with minimal text as you toggle between the two characters. There are puzzles to solve and an interesting means of upgrading armor and weapons. It’s enough to keep a young fanatic plenty busy. Cons: Small issues of gameplay—the vulnerability of your non-playing character, for one—irked some critics. 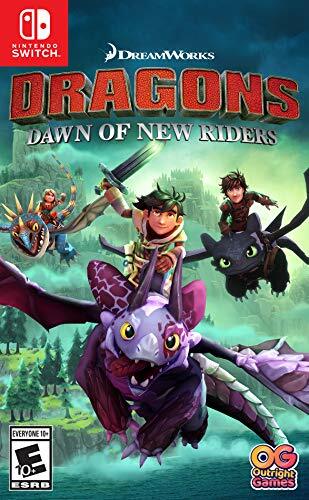 But really, this game should be viewed through the lenses of a fan of the franchise, and your young dragon trainer will love it. With others, it’s a toss-up. It may seem strange to feature two Mario games in one list, but New Super Mario Bros. U Deluxe is a worthy inclusion. Frequently included in lists of the best games of 2019, it offers a wide appeal for kids of all ages and interests. 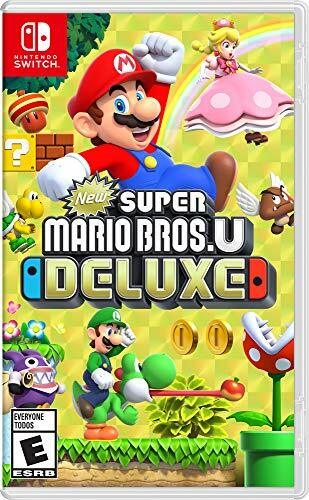 Pros: Based off a previous release on a former platform, New Super Mario Bros. U Deluxe, as its name suggests, includes the original Nintendo Switch game with a new, expanded universe, displayed in tack-sharp high def. A traditional two-dimensional platform game, it’s easy for young children to pick up, while older kids will enjoy the challenge of mastery, secret levels, and other assorted Easter eggs long associated with the flagship franchise. A four-player cooperative mode is a lot of fun when your son or daughter’s friends are spending the night. Cons: Like the other Mario title, does Deluxe have the edge to capture your growing son or daughter’s interest? Maybe, maybe not. But it’s a trusted brand that has captured multiple generations’ interests, and this is more of the same. If you’re anything like us, the first LEGO Movie came out of nowhere to be the biggest movie of the summer and an often-played feature for your child. With its sequel, your son or daughter’s renewed passion has been an all-consuming flame. 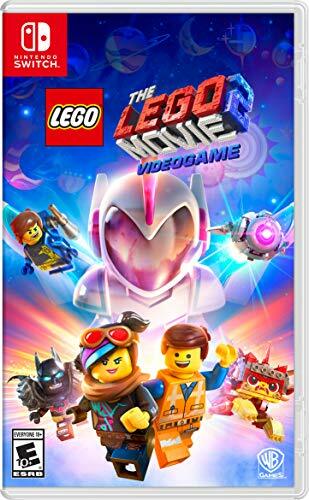 Time to feed it with The LEGO Movie 2 Videogame. Pros: Travel from planet to planet, collecting bricks and completing quests, while a fast-paced story unfolds. If uninterested, just roam free, as there’s plenty to do outside the fixed storyline. It has a feel similar to Lego Worlds, the 2017 console game that received positive reviews. Cons: Like other branded games, without a near-obsessive passion for the source material, the game’s cracks show through. Some noted its choppy frame rate, while others complained of a too-basic combat system. But odds are, you’ll know if your kid will like this or not based on how many times you went and saw the sequel in theaters.